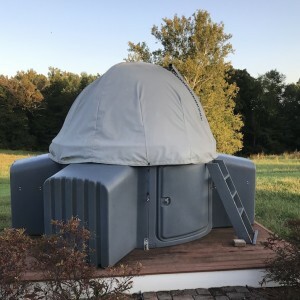 Sky Shed Pod 5 Bays Louisville Ky Area Sold! 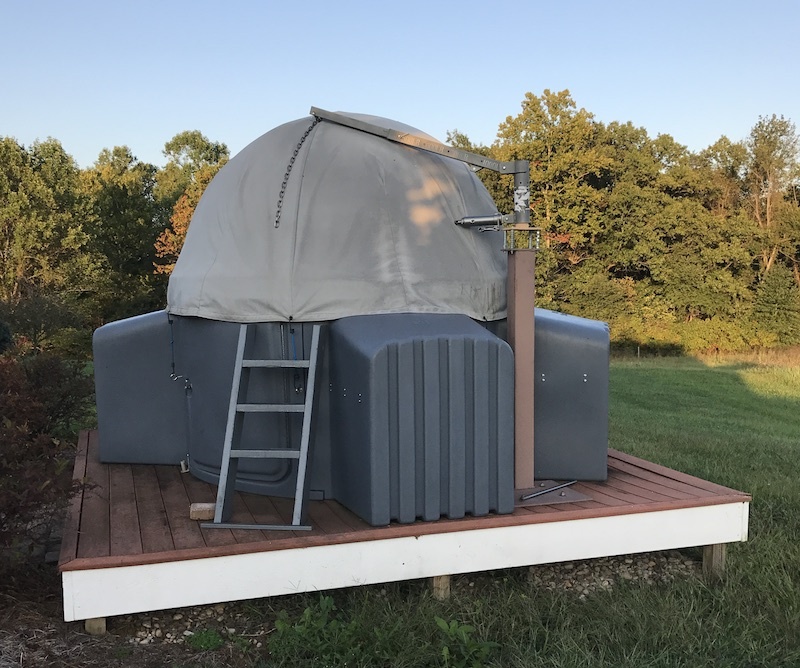 SkyShed Pod model XL5, fully insulated, with black lined bays - paid $3643.35 in Sept 2008. Pick up only Floyds Knobs, Indiana (suburbs of Louisville, Kentucky). I have made several modifications which can be removed if desired to return to original. 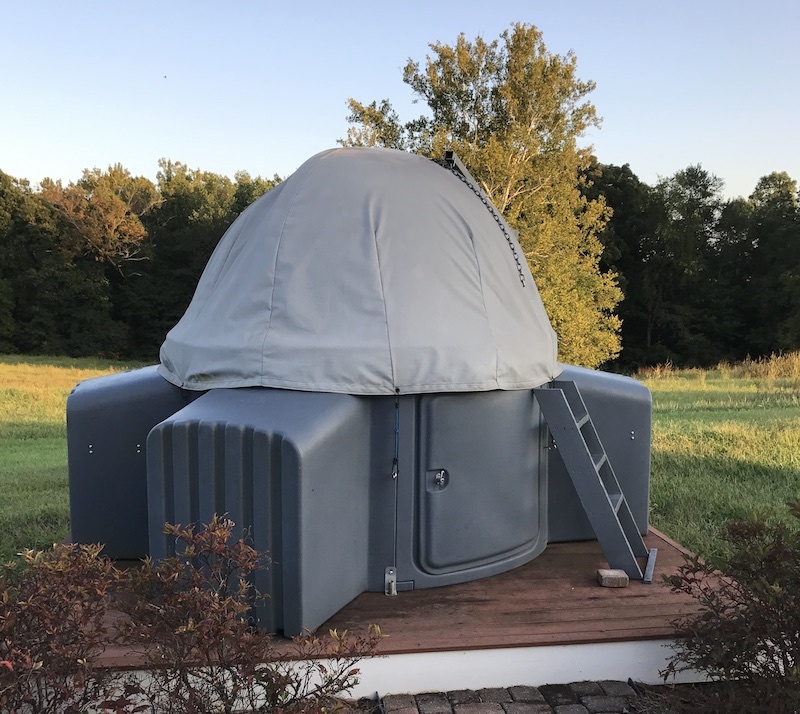 Since the original purchase cost of $3643 I have added the canvas cover to the dome and purchased a PZT kit which is not installed. Three of the five bays came with pull out table tops which have some dellaminations in the formica. 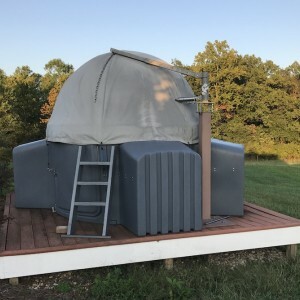 The jack seen in the pictures is a mod I made to allow picking the entire dome off the pod and swinging it off and down out of the way. This is the mod which could be removed.